Description: Children need a father who is consistently there for them. 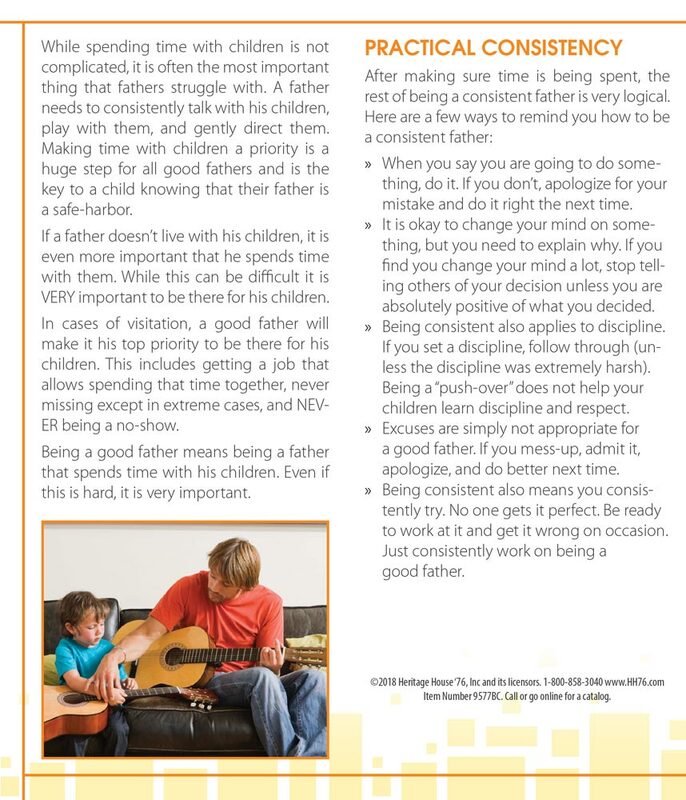 Starting with even small behaviors (not spending time, lying, making excuses) this brochure helps fathers understand the importance of doing what they say they will. It gives them a glimpse of the true importance of their promises and how they affect their children. Also covered is how to work through the inevitable failure by apologizing and working hard to make sure it doesn’t happen again in the future. 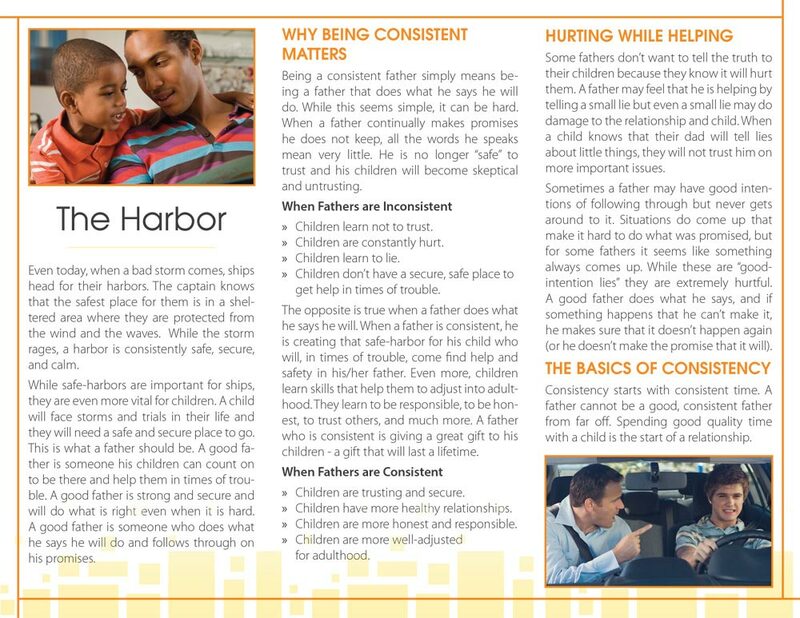 We recently purchased these brochures for the fathers who are participating in our EWYL program. Being consistent is an area that many of them struggle with, this brochure was very well worth the expense. Definitely helps them to learn how to be a consistent example to their children when many have not had a consistent father figure in their own lives.